Siem Reap is very well known to travelers in Cambodia for a simple reason: this resort town is widely used as the gateway to some of the most famous tourist attractions on Earth, namely the Angkor temples. While these are undoubtedly the main reason the vast majority of tourists come to Siem Reap, though, there are still more sights to see and things to do in the place that have nothing to do with the ancient temples. Consider the old market of Psah Chas, for instance, which boasts some of the best buys in the city for tourists and locals alike. Particularly of interest would be the profusion of food stalls here, where one can sample Cambodian cooking at its Asian-mixed-with-French best. Sample crusty, white-centered baguettes with spicy local sausages and taste savory soups redolent with the fragrances of Asian cooking along with the most tender frogs’ legs. You can have a culinary Odyssey while also finding the best souvenirs to take back home. The Cambodian Circus and the Angkor Silk Farm are more reasons to visit, as well as the country-covering bike tours that begin in the city. The town itself also offers quite a lot of modern and cultural pleasures. That said, if your main focus is still Angkor Archaeological Park, that is definitely understandable. This UNESCO World Heritage Site stretches out over 400 square kilometers and boasts some of the most majestic temple ruins you shall ever see in your life. Pyramidal and surrounded by moats, the temples are largely symbolic, and their shapes invoke both Hindu and Buddhist concepts of spirituality and tradition. As Siem Reap is an established resort town, there need be no fears of lacking something to do here or of lacking luxurious accommodations. Superb hotels merge with the latest entertainment venues to offer you, the traveler, a world-class experience. Angkor Wat is one of the most recognized names commonly associated to the country of Cambodia. Basically, there are at least three things that you should know about Angkor Wat. 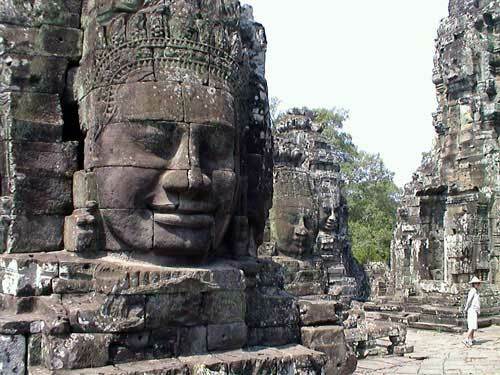 Firstly, Angkor Wat is indeed one of the most beautiful places on earth and may be the most glorious place in Cambodia. 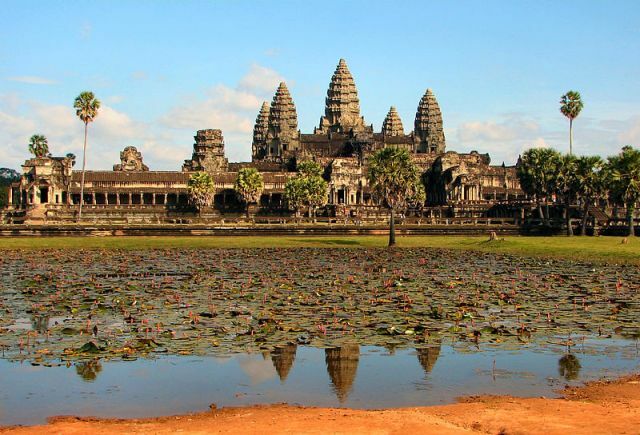 Two, the Angkor Wat temples are some of the largest temples you shall ever see. And last, none of the temples are homogeneous as each temple was erected in different times within a period spanning four centuries. 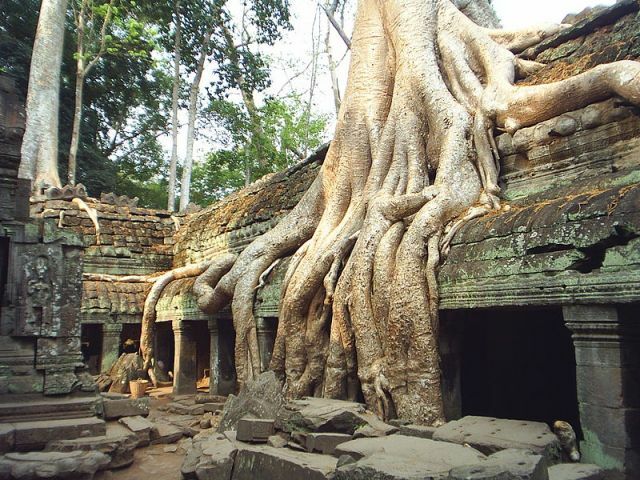 According to the Lonely Planet Cambodia, if the Angkor Wat and the Bayon Temple are testimonies to the brilliance of ancient Khmers, the Ta Prohm is a testament to the equally powerful jungles of Cambodia. 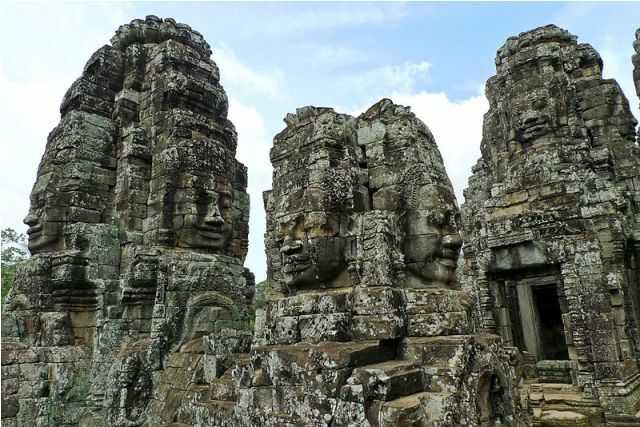 The Bayon Temple is found at the center of the famous Angkor Thom and is one of the most admired sites in the Angkor complex. The temple is best known today for its huge face sculptures that adorn its 34 surviving towers that were originally 54 in number. Cambodia is one of the oldest countries in Southeast Asia that is filled with old traditions and cultures. Astonishingly, documents of this profound culture and history are seen engraved on the walls of many of its temples, which goes to show the romance of the country of Cambodia. 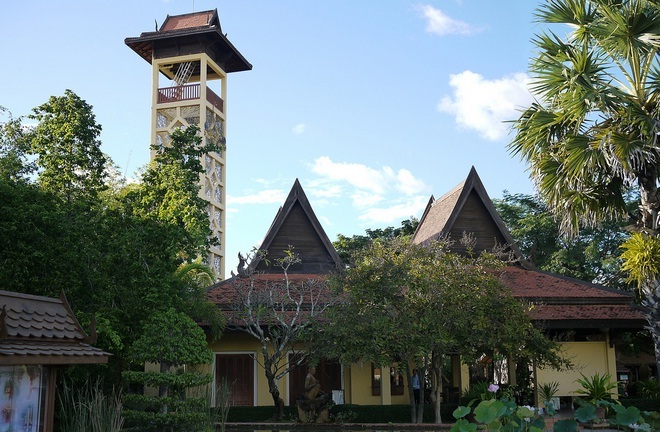 Since Cambodian people are known to have such a rich history and unique lifestyle, the Cambodian Cultural Village puts on a great display of such accounts in the form of miniatures, traditional shows, historical items and a museum. 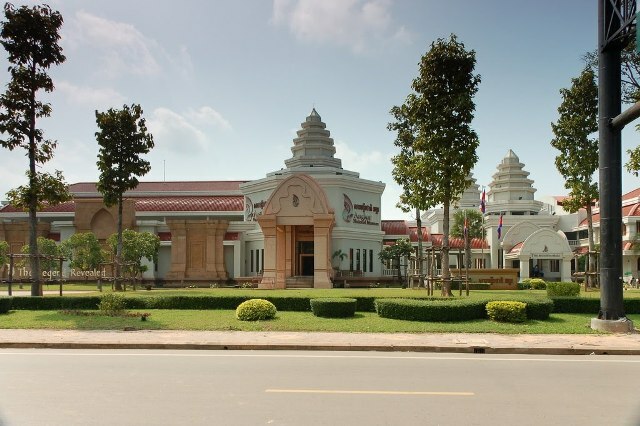 The Angkor National Museum is the only museum that features the great aspects of the lost Khmer Kingdom. The museum plays a useful role in telling the story of Angkor in such a hi-tech and unique way. Visiting the Museum is indeed a worthwhile experience, especially if travelers of Siem Reap want to have a deeper understanding of the Angkor context.